Mountain gorillas are listed as critically endangered by the international union for conservation of nature because of the fact that their numbers left in the wild are shrinking. Today the Worldwide Fund for nature (WWF) estimates about 880 individuals surviving only in Uganda, Rwanda and Democratic Republic of Congo. Since the time of Dian Fossey, an American primatologist who pioneered gorilla conservation research in 1960’s, which became a turning point to save the gorillas by active conservation, which spearheaded the campaign to curb down the serious threats that would lead to extinction of gorillas, gorilla conservation measures have been put in place. The mountain gorillas live in Virunga mountain ranges, which are shared by Volcanoes National park in Rwanda, Mgahinga National park in Uganda and Virunga national park in DR Congo. 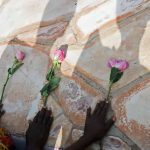 Among the critical threats listed are poaching, civil wars, illegal animal trade, human infectious diseases, habitat loss and fragmentation that significantly reduced gorilla numbers. 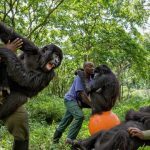 Fortunately, gorilla tourism as one of the strategies to conserve gorillas slowly started to convince people living around gorilla national parks through community development projects and supportive relationships to change from poaching, encroachment to community conservation. 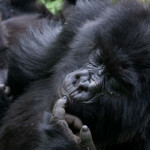 Nevertheless, it did not stop the threats but did make people aware of the need to conserve gorillas. 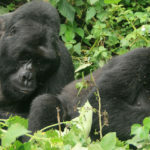 The popular movie “Gorillas in the Mist” brought conservation of mountain gorillas to the international level and many conservation organizations responded positively for example gorilla doctors started to monitor the health of gorillas and would treat sick or carry out postmortem on dead gorillas to establish the cause of death. This and other conservation efforts helped to reverse the declining numbers of gorillas. Protection of gorilla habitats became effective when gorilla national parks were gazetted and transformed into eco tourism destinations and had the ranger based monitoring systems implemented to keep on monitoring gorillas by the park rangers and guides. 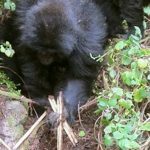 In the process of conserving mountain gorillas, the other subspecies of eastern and western gorillas in DRC have also received conservation attention including other wildlife that share habitats with mountain gorillas which has made diversity of wildlife relevant besides gorillas. 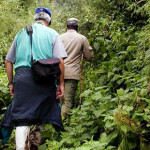 Gorilla tourism in Uganda, Rwanda and Democratic Republic of Congo is increasingly attracting travelers who come for gorilla trekking in Africa. As a result foreign exchange is earned through sale of gorilla permits and it is the money used in conserving the gorillas. 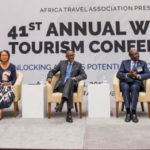 These countries initiated a revenue sharing program with local communities where a significant amount of money is directly put to community development projects such as sustainable agriculture and water projects around volcanoes national park in Rwanda. Successfully alternatives to bush meat, wild honey, timber cutting have been provided to communities through domestic animal rearing projects, vegetable growing, bee keeping, tree planting and clean water. 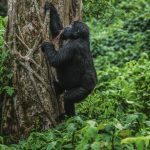 Hence pressure on the forests where gorillas live has been reduced as locals stand at the forefront of conserving mountain gorillas like never before. Education support to local communities through out reach programs is greatly making people aware of the importance of gorillas as well as to avoid the risk of transmitting human infectious diseases. 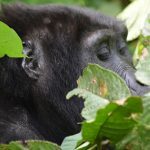 The gorilla organization and mountain gorilla veterinary project help to vaccinate domestic dogs, cats, cattle and goats to reduce infectious diseases such as rabies. Maintaining good hygiene is also encouraged among the people reduce human disease transmission to gorillas. In order to curb down poaching and illegal trade, governments trained rangers and established ranger based patrol posts in gorilla national parks where armed rangers patrol the forests for 24 hours hence reducing encroachment and illegal hunting. Secondary, Uganda, Rwanda and Democratic Republic of Congo collaboratively introduced the Special Wildlife Integrated Protection Force (SWIFT) to increase armed manpower within and around protected areas and enforce laws.